The All New, All Daring Delusional Honesty! : All's I Gotta Say (Until Later Today)... Hulk! Avengers! I like the look of Hulk for The Avengers. It combines features of the classic Hulk from the Hulk's appearance from the 1960s-1980s, while also adding some touches from the current Hulk. I'm glad to see that they're taking the Hulk design seriously for The Avengers, because the Green Goliath needs to look great for his 50th Anniversary. The Hulk in that poster looks great. The Hulk in the Ed Norton movie bugged me. I think it was his hairdo. 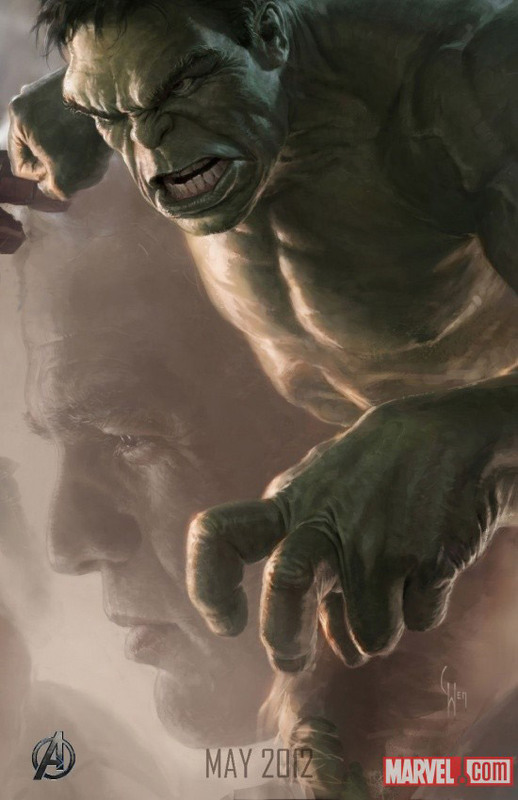 The Hulk in this poster has a more classic look.